Andrea Molinaro began working in the Medical Device industry in 2012 following her graduation from Medical Sales College. She began her career with Team 1 Orthopaedics, the largest distributor for Arthrex, as an Orthobiologics Specialist. In her three years with Team 1 she grew the Orthobiologics division 284%. 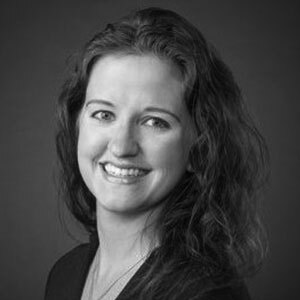 Following her position in sales she expanded her skillset into downstream marketing with Dentsply Sirona Orthodontics as a North American Market Development Manager. Here is where Andrea developed the aptitude to commercially launch medical devices, create collateral, and execute local branding. Andrea is originally from Wisconsin where she completed her Bachelor’s of Science degree in Biology at University of Wisconsin Parkside. With a love for sand and salt water, she then moved to Sarasota, Florida where she currently resides. In 2015 she graduated from University of South Florida with a Master’s in Business Administration. Andrea joined Medical Sales College in 2018 in a hybrid roll being able to use her broad experience in sales and marketing. Andrea gets to share her love for Orthobiologics as the Senior Director of Regenerative Medicine Education as well as her savviness for marketing as the Senior Director of Marketing.